Ask the expert: Are you ready for a dog? If you think too long about this question, the answer is probably the same as the answer to another question — when is the average male ready for marriage? Not ever. Yet while the circumstances might never be perfect for getting a dog, the decision is one of the biggest ones you’ll make in your life. Sure, there are bigger decisions, like choosing a life partner, deciding to have a child, or accepting a new job. But that’s about it. When you get a dog, you are taking responsibility for a living, breathing, feeling being. And one that will, on average, be part of your life for at least a decade. The sad reality is that animal charity organisations’ websites are full of stories of abandoned dogs looking for homes. Many of these are cute puppies that did have a home for a short while, only to be rejected by their owners once the full responsibility of having a dog dawned on them. If you’re reading this article, chances are good that you are already thinking about and researching the level of commitment it takes. Let’s take a look at some of the things one should consider before taking the big step of allowing a little bundle of fur and good will into your life. Answering the following questions truthfully will help you make an informed decision. Is it an impulse decision? We all know that feeling of benevolence that takes hold of us when we see that adorable little breath of life with its clunky paws and puppy breath. Often a pic on the internet is enough to want to make you get in your car and go get it. If you feel the grip of love tighten around your heart, my advice is this: STEP AWAY FROM THE PUPPY! That’s right: step away. Sleep on it. Do your research. Make a list of everything that’s required to properly care for a puppy. Sleep on it again. If you’ve considered all the pros and cons, given yourself time to calm down and made sure all the requirements for ownership of a dog have been met, then, and only then can you give in. Whose responsibility will it be? One of the biggest mistakes new dog owners make is to assume that responsibility for your dog will be taken by their partners or family members. Sure, in a lot of cases the duties of dog ownership can be shared, but be very clear about who the primary owner of the dog will be. If a couple decides to get a dog together, and they break up later, what happens to the dog? Also, consider that your income and living arrangements might change over time. Would you still be able to take care of your beloved dog if you unexpectedly earn less money for a while or have to move to a different house or apartment? Have you thoroughly researched the type of dog you’re getting? Of course, not all dogs are purebred, but the size and temperament of a dog greatly influence its owner’s ability to properly care for it. Read up about certain breeds’ propensity to bark, or be aggressive or shed hair, or interact with children and other dogs. It’s simply no excuse to say “I had no idea Dachshunds were so vocal” or “Geez, my boxer is so adorable but he really does require more exercise than I thought.” If you want to find out more about a certain dog breed, have a look at our “Know Your Breed” section on our website. This is especially true when deciding to get bigger and naturally more dominant and aggressive breeds. A big, dominant dog needs a firm, strong and experienced owner. If you can’t control your dog, it becomes a nuisance and even a danger to other people — which can result in a reluctance to take your dog out, which will frustrate it and cause behavioural problems. Choose a dog that will suit your lifestyle and personality. Also, make sure that no one in your home is allergic to dog hair. Is everything in place ALREADY? If you decide to get a dog that requires a big yard, have a big yard already. If you plan to go freelance and work from home to spend time with your dog, make sure you’ve already established your new lifestyle before getting the puppy. Wishful thinking is not only irresponsible, it also places stress on you, which will make you less likely to provide a secure and safe home for a dog. Being able to afford a dog is not simply having the cash to actually buy the puppy. There will be vaccinations, toys, a bed, doggy day care (if you work during the day) and vet bills. There is no way you can predict whether your dog will have unexpected medical issues — even the most healthy dogs require a visit to the vet now and then. Look at your budget and allow for contingencies like unexpected illness or booking your dog into a kennel when away. You can get rough guide to the frequency of vet visits a dog would require in this article. Then breathe in, breathe out and embark on a life-changing journey! 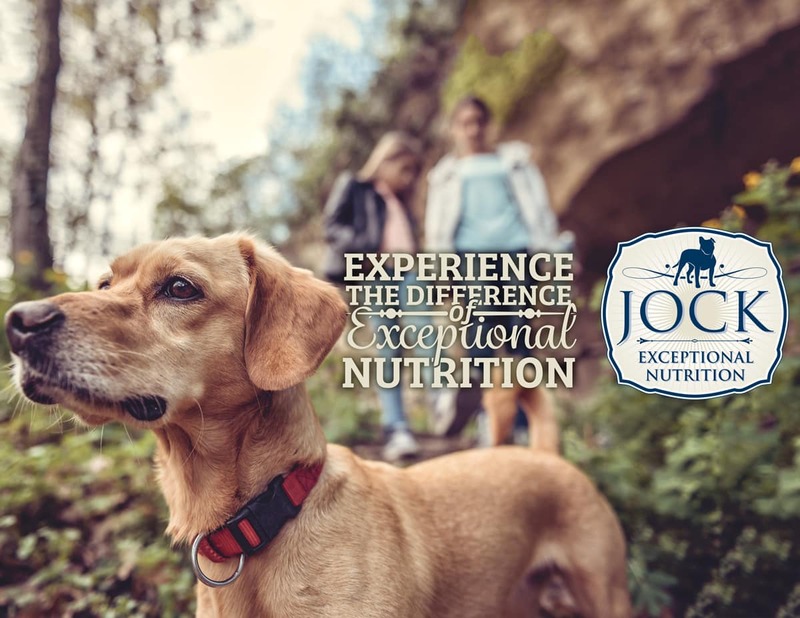 https://www.jockdogfood.co.za/wp-content/uploads/2017/05/2017_05_ATX_Are_you_ready_for_a_dog_primary-image4.jpg 927 1200 admin https://www.jockdogfood.co.za/wp-content/uploads/2017/07/JOCK-FC-Logo-Only156pxh-menu.png admin2017-05-22 13:23:422019-02-27 10:27:54Ask the expert: Are you ready for a dog?